Please check the first part of this interview. 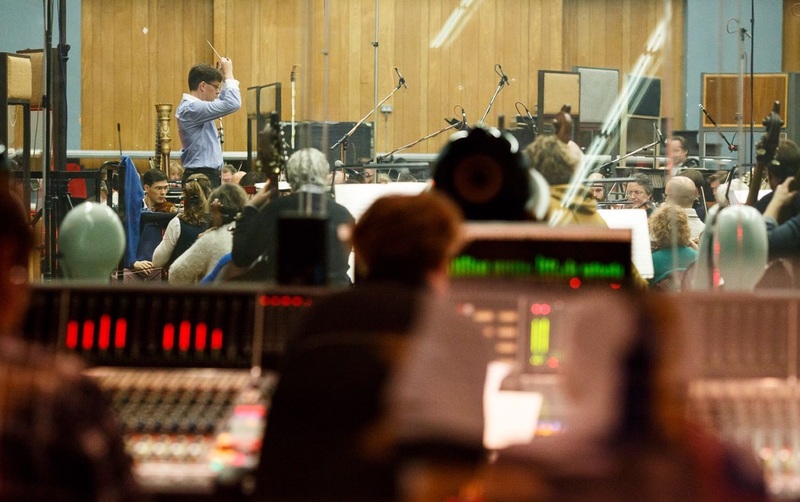 Hadouken: The retrospective of 2014 on Spielemusikkonzerte website said that Final Symphony recording at Abbey Road Studios was the best moment of your team since you started producing concerts in 2003. How was that experience? What the Abbey Road Studios has different compared to other studios? Thomas Boecker: Abbey Road Studios is a place of musical history: The Beatles, Pink Floyd, Elton John – they all recorded there, and all of them are musical heroes of Nobuo Uematsu. For me, Abbey Road Studios means Star Wars, Indiana Jones and Harry Potter; soundtracks composed by John Williams, whom I greatly respect. In short, it is very safe to say that for each member of our team, at least one of their favorite albums or soundtracks was recorded there. 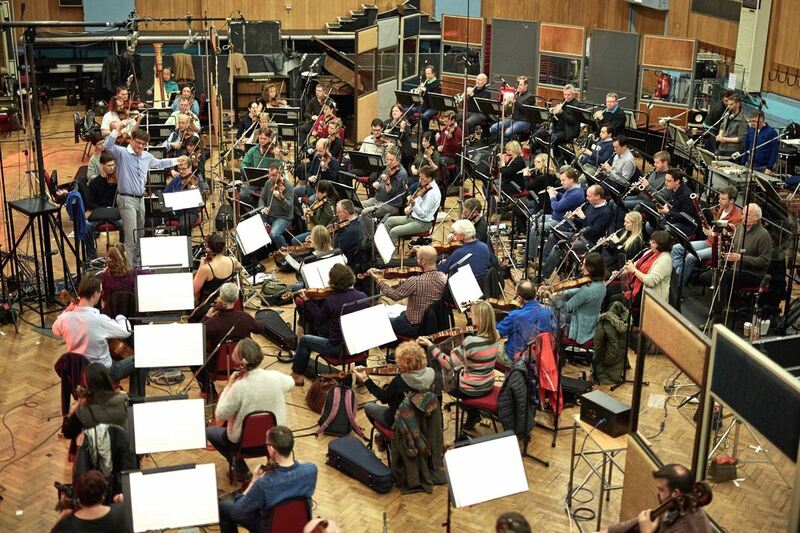 Everything came together in December 2014 when the great Nobuo Uematsu joined us at Abbey Road Studios, along with one of my favorite orchestras in the world, the London Symphony Orchestra, to record the arrangements of our team; Jonne Valtonen, Roger Wanamo and Masashi Hamauzu. The acoustics at Abbey Road Studios are stunning, simply perfect, especially for the sound we wanted for our album: precise, warm and rich. We’ve come a long way since we started, but Final Symphony is all our own production – and I must say, I am very proud of my team’s achievement! Hadouken: Some British artists that influenced Nobuo Uematsu recorded many songs at Abbey Road Studios. 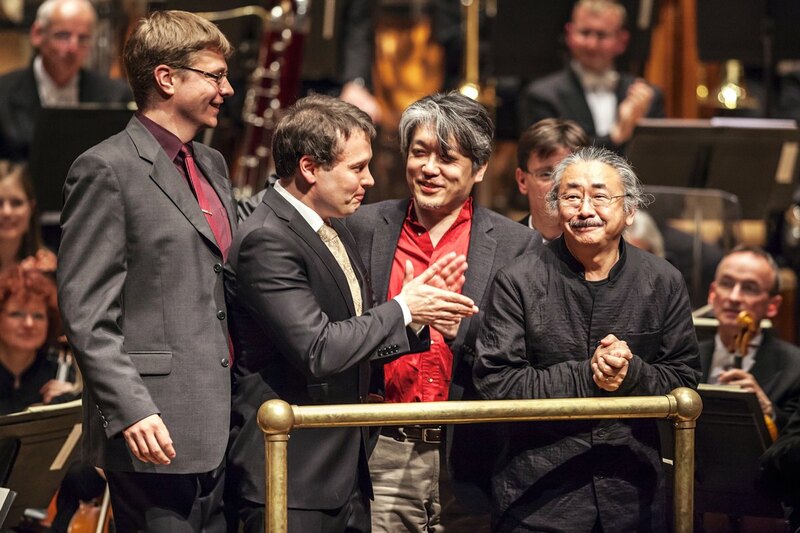 How Uematsu felt just for being in that place? In supervision, Nobuo Uematsu usually gives freedom or he does very specific requests? Thomas: In my opinion, it was always a dream of his to come to Abbey Road. You might like this anecdote actually – when we met at his house in Tokyo in October 2014, I handed him a present; a book about Abbey Road Studios, which was full of photos of the people who went there to record. He was amazed. When I told him then about our plans for Final Symphony, you could see his happiness! And even though his schedule was full – he’s obviously a very busy man – he still managed to free it up for us and come to London. I do not want to interpret too much into it, but in my impression you could see in his eyes how happy and emotionally touched he was when he finally entered the studio. When it came to the recording, at least in our case, Uematsu-san gave us all the freedom we needed. He was there primarily to enjoy the experience, but when Jonne or Roger had questions he was able to voice his opinion immediately. Following recording he continued to listen to the mix and give his comments as we worked on it. He never forced anything, though. It was the perfect environment. Hadouken: Recently, Royal Stockholm Philharmonic Orchestra website published a very well-produced recording from the Final Symphony concert. In an interview for RPGFan website, you had shared the wish that one of your concerts could be released on DVD (today, a Blu-ray would be more appropriate). Are there plans to release a Final Symphony video recording of the concert? Thomas: Unfortunately no, there are no plans to put out a video recording of Final Symphony at this point. Still, I think it would be great thing to have, so I am constantly investigating opportunities on this. Hadouken: Symphonic Shades, Fantasies and Odysseys albums were live recordings. Why did you decide this time to record Final Symphony album in studio? Does the arrangements performed by the London Symphony Orchestra on the CD the same performed in Germany, England, Japan, Denmark, Sweden and Finland live concerts? Thomas: The arrangements differ from the scores performed in Germany and England because we revised them for the Tokyo concerts. Much like what we did with Symphonic Fantasies Tokyo, we added a lot of little details to the score, and in some cases worked in whole new themes, such as “Farplane Sending”, which was added to the Final Fantasy X – Piano Concerto. There is also a brand new piano solo piece now, that was performed only once before as an encore at the Tampere concert: Suteki da ne from Final Fantasy X.
I’ve always thought a lot about going to Abbey Road Studios, despite it being a risky investment for me. As I said, it‘s always been a dream of mine — and I thought that Final Symphony would be the perfect opportunity. To me the timing was right as Final Symphony has been our best and most successful work to date. It all came down to the question: if not now with Final Symphony, when? Frankly speaking, I think the whole production has a lot of similarities to the original Final Fantasy game many years ago, when Squaresoft staked everything on one card. Hadouken: Another difference to the previous albums is that Final Symphony release will be digital. Why did you choose this type of release instead of the physical version? 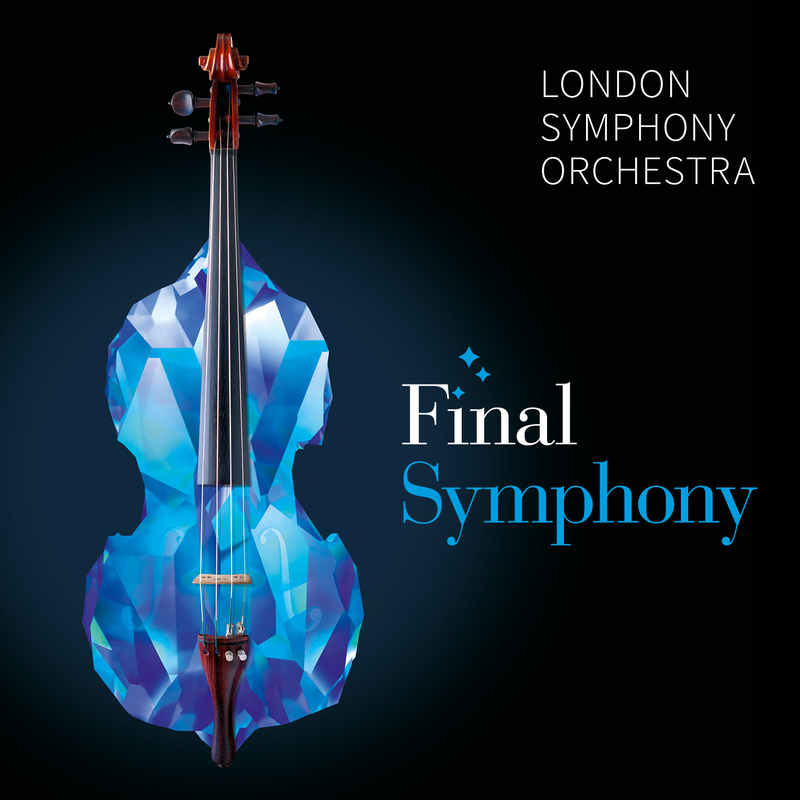 Are there plans to release the Final Symphony album on CD? Thomas: A benefit is that we can release the album worldwide simultaneously, people do not have to bother about importing and waiting for a long time. I won’t lie, it‘s also due to the way people listen to and enjoy music these days. They are purchasing their music digitally. It’s also worth mentioning that Final Symphony has been mastered for iTunes, so it offers the highest possible sound quality you can find on the store. However, having explained this, I am old-school myself; I still like to collect physical albums. Hence I can confirm that at some point later this year there will be a physical release besides the digital one. I can‘t give any date at the moment, but we will let you know when we’re closer to getting it out there. For now though, our focus is definitely on the digital version and no fan should miss it! Hadouken: Some of the reprises of your concerts had the scores changed, such as The Legend of Zelda: Symphonic Poem (Symphonic Legends, LEGENDS and Symphonic Symphonic Legends – Featuring music from The Legend of Zelda series). This is expensive and laborious, since is necessary to print again all the scores for the orchestra. Why does these modifications are made? The audience opinion or the Press are taken into account or is this just a desire coming from you and the arrangers to improve the arrangements? Thomas: Indeed, it‘s mainly down to our own feelings. We are absolute perfectionists, and if something is bothering us, we want to revise and improve the work. Often it’s just little details, but it‘s no secret that minor changes can make a huge difference. For example, it can make the rehearsals much faster or easier if unnecessarily difficult parts are changed. This is nothing unusual in the classical world. Hadouken: After the arrangements are finished, do all the companies require approval of the scores? What kind of restriction the companies do to the concert disclosure? Thomas: Over time, the approval procedure has changed for our company quite a bit. At the beginning, some companies did request to check the scores, but today they trust our work due to our long experience in the field. From a completely personal point of view, I wonder if some of our scores are so complex that it would take too much time and energy to find people capable of checking them! But yes, given the mentioned trust in our work, I assume most companies do not feel a need to get too involved. However, having said this, we absolutely still have staff coming from Japan to attend rehearsals and concerts, making notes and reporting to management. While we never have any requests for changes anymore, publishers do attend to ensure everything is to their liking, and that nothing goes against their policies. Which is totally understandable – after all, we‘re using their important IPs. Hadouken: Yuzo Koshiro is an extremely popular composer in Brazil. As in the rest of the world, he became famous because his name appeared in the title screens of The Revenge of Shinobi and Streets of Rage, but here Sega games are especially famous thanks to the excellent work from Tectoy, that released the products of the company in this country. You knew Koshiro a long time ago and he did various arrangements for your concerts: The Revenge of Shinobi, Sonic the Hedgehog (when you were executive producer of Play! ), Actraiser, New Super Mario Bros. and Jim Power in Mutant Planet. Talk a bit of how you know him and how was your experience to work with one of the greatest game music legends. Thomas: For me it was probably very similar learning about him as it was for you: it was definitely a novelty when a composer’s name appeared on the title screen years ago. It helped to popularise Yuzo Koshiro’s name. And, similar to Chris Huelsbeck, his name started getting mentions in reviews in German gaming magazines. Having a Yuzo Koshiro or Chris Huelsbeck soundtrack meant quality. That helped make a lot of people aware of video game music in general. I loved Yuzo Koshiro’s music from an early age, and it was always my goal to work with him one day. When we started on the Merregnon project I knew I would have to contact him. 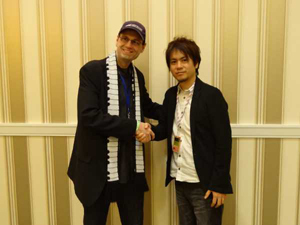 I was lucky: not only is Yuzo Koshiro a very friendly and open-minded person, he also speaks English. Around 15 years ago, when I wrote to him, he understood the importance of Japanese people getting involved in international projects, something that might be the norm today, but wasn’t so much back then. The last time we had the opportunity to collaborate was Chris Huelsbeck’s Turrican Soundtrack Anthology, for which I coordinated his contribution for the vinyl. I think that Yuzo Koshiro is one of the most versatile composers out there. I truly respect him. Hadouken: In an interview for VGM Lounge website, you commented a wish to produce someday, among other composers, a tribute concert to Yuzo Koshiro’s career, despite of the fact that his many soundtracks were from obscure games for the western mainstream audience. Do you think that would be possible to produce someday a concert with orchestrated music of games like Actraiser, Beyond Oasis, Etrian Odyssey and Streets of Rage? Thomas: Absolutely, and this is still on my list. As much as I enjoy the really big scale projects like Final Symphony, I also love the – in a way – smaller approaches, like we did with Symphonic Shades, even though that still used a big orchestra and choir. Going back to smaller venues, choosing perhaps less well known soundtracks, but nevertheless wonderful compositions, is something I am planning. I want to keep the concerts fresh and surprising. Hadouken: Your concerts usually have games that, if aren’t completely obscure, aren’t so popular, such as SaGa Frontier II, Unlimited SaGa, Final Fantasy Legend, Final Fantasy Legend II and King’s Knight. Which game do you think is the most obscure that was played in your concerts? In your opinion, what is the limit of the obscure titles of a program targeted to the European audience? Thomas: I would say that King’s Knight was one of the most obscure titles; even Nobuo Uematsu himself joked that he didn’t remember the game! I believe that as long as you add these arrangements to more mainstream programs, you can basically go as far as you wish; there are no limits. In the best case people learn about musical gems they didn‘t even know existed. This is what we tried to do with Symphonic Odysseys. While we knew that Final Fantasy is – of course – the series fans wanted to hear the music from, we still wanted to offer some less-known titles as well. Hadouken: You already produced two concerts in Japan: Symphonic Fantasies (2012) and Final Symphony (2014). Both concerts were originally performed in Europe, with small differences in the program, such as “Encore: Final Boss Suite” from Symphonic Fantasies, that was modified for the Tokyo concert. Do you wish someday to produce a concert or at least add exclusive segments specifically planned to the Japanese audience, that is much more receptive to obscure games and would enable more exotic track choices that we see so frequently in the Press Start series? Thomas: Absolutely! This is definitely something I can imagine. Unfortunately, as boring as it may seem, you have to keep the economic aspect in mind still. It‘s impossible to break even when you‘re performing a concert once or twice only, so one always has to find the right balance. Hence, doing a concert – certainly the way we create them – for Japan only might be a bit hard financially, but creating specific segments for it could be an option. Hadouken: Besides Final Fantasy and Dragon Quest, few series had dedicated concerts and the majority happened in Japan: Resident Evil, Ace Attorney, Monster Hunter, The Legend of Zelda, Phantasy Star and Nobunaga’s Ambition. One of your most recent productions was from Zelda series. Do you believe that is possible to produce more concerts focused on famous series in Western in the future, such as Chrono, Mario, Sonic, Castlevania, Mega Man and Metal Gear? Do you believe that only Japan has audience to more specific concerts? Thomas: It‘s hard to say if you could produce a whole tour of concerts from some of the mentioned titles, but it could work with a few selected performances, certainly. Hadouken: “Theme of Laura” (Silent Hill 2) was performed for the first time in Third Symphonic Game Music Concert (2005). In that occasion, you invited the band -123min to perform the music with the orchestra. However, the last concerts that you produced didn’t have music instruments like drum kit, electric guitar and electric bass. Why do you prefer not use this kind of instruments in your live productions? What is your opinion about this kind of blend? Thomas: Again, it’s completely subjective, but for me, those instruments do not blend too well and go against my personal aesthetic feelings. Particularly the drum kit, which often just seems to be used if arrangers are running out of ideas. There might be a day when I am convinced differently, but I’ve always found that with the creative use of the instruments already there – for example, the percussion in Jonne’s arrangements – you get a much more convincing level of quality, with much more impact. Hadouken: What is the importance for an orchestra to perform in a concert hall instead a regular show house? 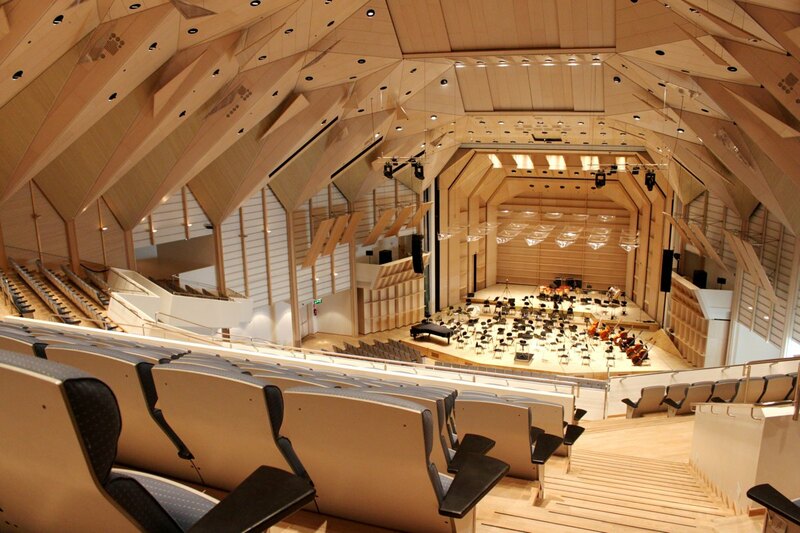 Which concert hall do you believe that has the best acoustic among the concerts that you produced? Thomas: I like the Philharmonic Hall in Cologne quite a bit, but the best was probably the Tampere Hall in Finland, where one is able to get all the nuances of the performance, all the little details, where you can hear all the instruments clearly separated if you wish, rather than just a big wash of sounds. Musicians have to hear each other well on stage to perform, and this might be more difficult in concert venues not made with orchestral performances in mind. Personally, I‘m not a fan of amplification – no matter how well it is done, it sounds artificial to me. The bigger the venue gets, the more likely it is that you cannot avoid using a sound system. I am certainly a purist when it comes to orchestral sound, so when we approach orchestras today for our concerts, a classical venue with natural acoustics is definitely a requirement for a collaboration. Hadouken: The tetralogy tribute concerts with WDR Radio Orchestra Cologne have a huge repercussion thanks to the live broadcast in video or radio from WDR. After this, you were a consultant of the concerts Soundtrack Cologne – East meets West (2012) and Symphonic Selections (2013) and helped in the production of Music in Motion (2014). Are there plans to produce again concerts with WDR with the same scope of the Symphonic Shades, Fantasies, Legends and Odysseys? Thomas: This is hard to answer, as it depends on a lot of factors. I cannot say it often enough; orchestra managers are the key people for such productions. When I met Winfried Fechner back in 2007, it was a very important point in my life, because he was looking for new and exciting projects for the WDR Rundfunkorchester Köln. He retired several years ago and the last project we did together was Symphonic Odysseys. I am now in contact with the third orchestra manager there, and if the new person sees a benefit in doing an entirely new concert, it will happen. Having said this, we are in a fortunate position now where we can come up with new projects ourselves, such as Final Symphony – which proved to be our most successful concert production to date, with performances in Germany, the UK, Japan, Denmark, Sweden and Finland — and there will be more to come. Hadouken: From the most recent concerts that you produced, only Symphonic Legends, LEGENDS and Symphonic Legends – Featuring music from The Legend of Zelda series doesn’t have a CD release. All these concerts are related to Nintendo. What kind of restriction Nintendo does to the CD releases? Why do you believe that Nintendo allow releases such as Orchestral Game Concerts in the past and the company doesn’t allow the release of this kind of album nowadays? Thomas: I think that back in the days of the OGC series, the rules might not have been as strict as they are now. Perhaps it was such a new and unexpected idea it made it easier to convince Nintendo to allow CD releases – plus the fact that it took place in Japan might have been of help. I do see some development at Nintendo now, though, that gives hope that they will change their very conservative policies one day. Hadouken: You were consultant of Play! A Video Game Symphony and Distant Worlds and, despite the fact that you aren’t involved in both projects anymore, you know all the difficulties to produce a world tour. Since 2006 there are Video Game Live shows in different cities of Brazil, but never happened here a more traditional concert from a foreign production with a large orchestra (like 80 to 100 people) playing in a concert hall. Distant World tour series already performed in South America, in countries like Argentina and Chile. In your point of view, what is missing for a country such as Brazil to have concerts of these and other world tours? Thomas: Honestly speaking, it all comes down to somebody willing to take a risk and give it a try – no matter the country. Needless to say, such productions cost a lot of money, and it is a risky investment for promoters. The moment one sees the potential, the situation might change immediately, and Brazil could get the kind of production you mention. Hadouken: The majority of your productions happen in Europe and eventually in Japan. Do you wish to produce someday concerts in other continents? Thomas: I love to travel, so yes – absolutely. I would love to see video game music spreading all over the world, especially with high quality arrangements such as those written by Jonne and Roger. I keep working on it, and with the support of our agency, I think there is a good chance. I already know that we will go to new places we have not been before in 2015, and also in 2016 and onwards. Hadouken: I already published on blog various performances that you may have seen. Did you remember of being particularly impressed with one of these videos? For example, you already commented with me some time ago that you enjoyed the Dutch series Games in Concert. Thomas: Indeed, I remember the Dutch series, and I liked it because it had some different arrangements to what else was around on the concert tour scene. It was the time of PLAY!, Distant Worlds and Video Games Live, and I enjoyed the fact that somebody tried adding a different spice to the dish, so to speak. We need more producers like that. Hadouken: What is your favorite musical instrument? In an interview for Distant Worlds website you said that you don’t play any musical instrument professionally, but that would you like to learn to play someday or do you no longer considers this possibility? Thomas: I guess I really should, but – and I know this is a bad excuse – I have never found the time to do it properly. I assume I need to force myself a bit more! I really don‘t have a favorite instrument anymore. A few years ago, it might have been easier to answer. The more I attend rehearsals, concerts and recordings, the harder it becomes to pick one. The palette of sounds in an orchestra is incredible, and a great soloist can make such a huge difference. Hadouken: What kind of music do you listen besides game music? Did you already intend to produce concerts with other kinds of music, such as animes, movies or even classical music? Thomas: I don‘t have plans to at the moment, but it certainly could happen – no question about it. I listen to all kinds of music, the focus is on orchestral music, though. Sergei Prokofiev, Dmitri Shostakovich and Igor Stravinsky in the classical world, John Williams, James Newton Howard and Elliot Goldenthal for movie scores. Take that selection with a grain of salt, though; it changes often. I‘m constantly try to find new inspiration. Hadouken: What is the best concert that you produced? What’s the best game concert without your involvement that you attended? Thomas: Clearly Final Symphony. Artistically it is the most developed, and it is also the most successful concert, having taken us to many different countries. I have strong emotional connections to the WDR’s tetralogy too. As for a concert without my involvement, that would be the Tokyo performance of Tour de Japon, back in 2004. 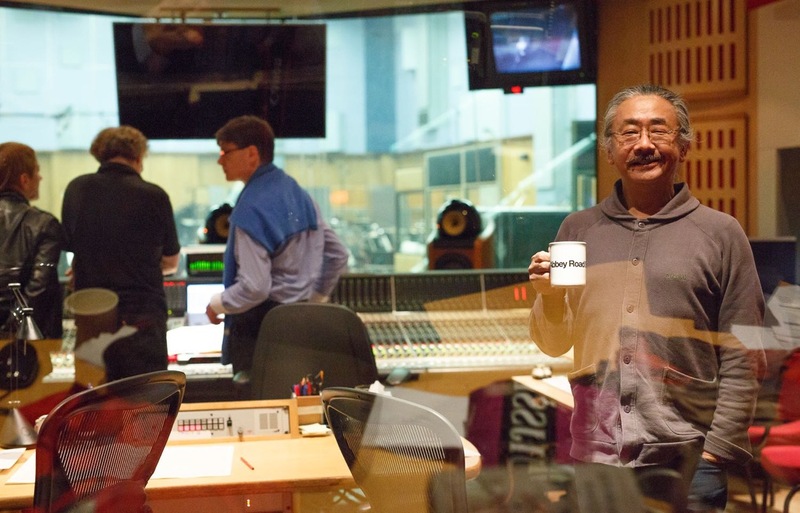 I was lucky enough to be invited by Nobuo Uematsu and Square Enix. It gave me a lot of motivation and inspiration for my own productions. Hadouken: What is the best achievement of your career after a decade producing game concerts? Do you think that Symphonic Fantasies is the turning point? If we are talking about the three most influential concerts of my career so far, I would say Final Symphony, Symphonic Fantasies and Symphonic Shades. 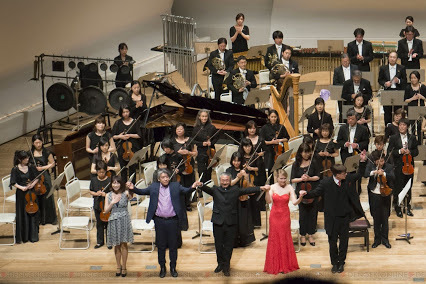 Symphonic Fantasies saw the major change from shorter pieces to story-telling suites – and, of course, the Japan performances – while Symphonic Shades offered new artistic opportunities that I never had before. Hadouken: You can be sure that many people from here follow your live radio or video broadcastings of your concerts produced in Germany. Please leave a message to the Brazilian fans of your concerts. Thomas: Thank you so much for your ongoing interest in my productions! I‘ve travelled to Brazil only once in my life, and I truly hope I can make it happen again, perhaps even to present a video game music concert in your country! Until then, I hope you will enjoy live broadcasts of our performances, and without promising too much I can say I am working on future opportunities to make that happen. 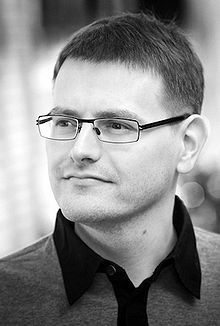 I would like to thank Thomas for kindly answer the various questions of this extensive interview and the enlightening answers about his work. Sensacional conclusão para uma entrevista muito completa e informativa. Muito obrigado, Alexei e Thomas. Valeu mais uma vez, Marcelo! Feliz que tenha curtido novamente a entrevista.